The very first thing that you need to do for this purpose is to prepare your nails for the manicure. Keep them short i.e. the extended parts should not be more than (1/4)-inch. Also, shape them up (rounded tips and square edges) by using a fine-grit nail file in a certain direction in order to increase the strength significantly. Get your nails cleaned by using an antibacterial soap and lukewarm water. You can also take a small cotton swab, dip it in a nail polish remover and wipe all sorts of dust, dirt and impurities off your nails. Never ever cut or push dry overgrown cuticles back. It will worsen the situation by causing cracks chipping nails. So, just soften the overgrown cuticles by applying a cream or oil to them and then, push them back gently with a wooden stick. 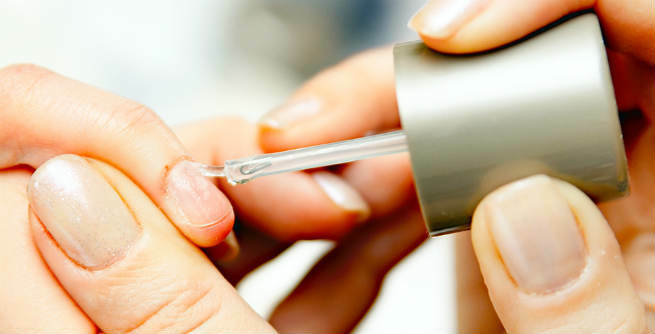 Get a good nail primer or just prepare your own version by blending rubbing alcohol with water (7:3). Apply it with a makeup or polish brush so that your nails become absolutely clean and the base coat adheres perfectly. It is important that you apply your nail polish in a proper manner. Start with a specially-formulated base coat and follow it by a couple of layers of nail color. Finally, apply a slow-setting top coat. Choosing the right base and top coats is essential to keep the polish lock in perfectly. A clear base coat and a thick gel top coat are excellent for long-lasting manicure. While applying the polish, cover the end of each nail carefully and continue the application in such a manner that a portion of the polish goes underneath the edges of the nails. In short, you have to wrap the polish onto the nails so that they don’t tend to chip any more. Make sure that you wait at least for 3 minutes between every two coats (starting from the base coat up to the top coat) of your polish. It will dry them up completely. Well, you don’t need to apply the polish every day. But try to apply the top coat every 2 or 3 days in order to avoid cracks and keep the shine of the color intact. No matter how much hurry you are in or how bored you are during the drying process, do not ever blow on your polished nails. It can affect the setting of your lacquer to a large extent. Rather, blow-dry for 3 to 4 seconds on a low setting. 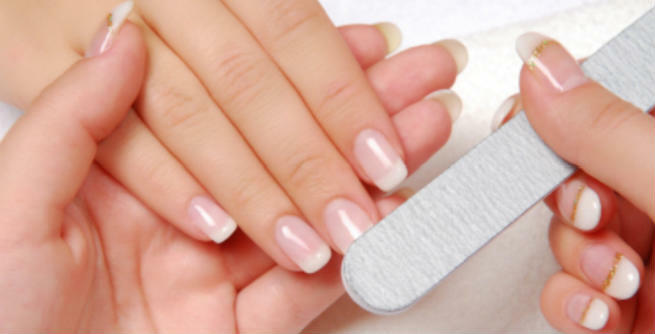 Once you are done with your manicure, make it last longer by protecting your hands as well as nails from water. Try to make use of rubber gloves, while doing kitchen works or anything else that need your fingernails to be soaked in water. It will save your manicure for a considerably long time.